Enter to Win a Disney Prize Package During DFB’s Mickey March Giveaways! There’s SO much happening at both Disneyland and Walt Disney World this Spring, and we want YOU to celebrate with us! In honor of the two Disney Festivals starting in March — DCA Food and Wine Festival and the Epcot Flower and Garden Festival — we’re doing Mickey March Giveaways for BOTH coasts! 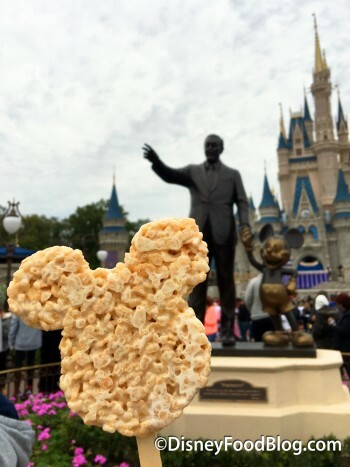 Enjoy a Mickey Rice Krispy Treat on Main Street USA! It’s super easy! To enter to win, simply post a picture of yourself reading Disney Food Blog! Post on Twitter, Facebook, or Instagram with the hashtag #DisneyFoodBlogMickeyMarch, and you’ll be entered to win! 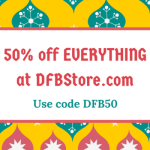 You can even enter daily if you’d like! Prize packs will include fun goodies DIRECTLY from Disneyland or Disney World, including snacks, souvenirs, and some super special items, too! Winners will be chosen at random on April 1st, and we’ll reach out to the winners via private message on the social media channel on which they posted. 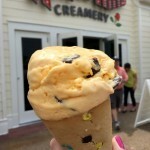 Enter to Win with hashtag #DisneyFoodBlogMickeyMarch! But there’s more fun news. Did you hear? Disney Food Blog and Dining In Disneyland are comin’ to a Disneyland Stage Near YOU! 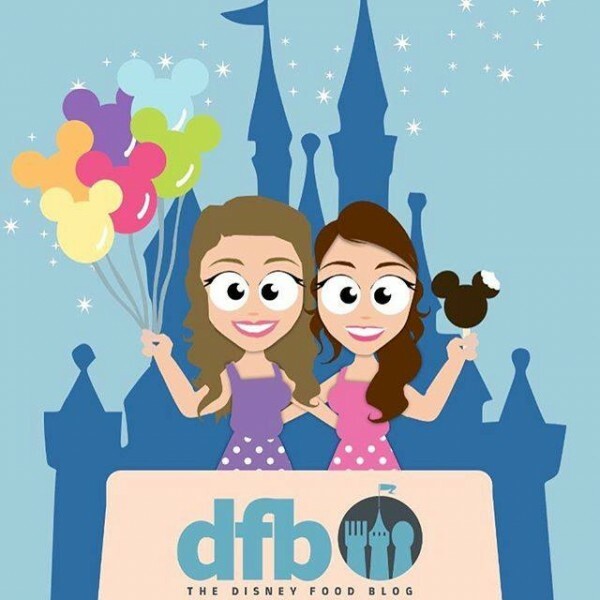 Come see Dining in Disneyland’s Heather Sievers (find her on Instagram and Twitter: @DininginDisney) and me, AJ, in person, as we present our own Lifestyle Seminar during the DCA Food and Wine Festival. We’ll be chatting with guests about one of our favorite topics — Secret Menu Items in Disneyland! Come See Us at the Disney California Adventure Food and Wine Festival! Mark your calendar for March 11 and 12 at 3:00PM and look for us on the stage directly across from Monsters Inc in Hollywoodland in DCA. So whaddaya think?? Will you be hashtagging your way to a Disney Loot Win and/or coming to see us at DCA Food and Wine Festival?? Post your comments below and let us know! Note: Due to shipping costs, this is open to those residing in the USA only. Thank you! Giveaway! 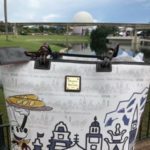 Enter to Win the Exclusive 2018 Epcot Food and Wine Festival Dooney & Bourke Handbag! 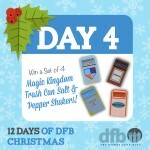 DFB 12 Days of Christmas: Win a Set of 4 Magic Kingdom Trash Can Salt and Pepper Shakers! Giveaway! 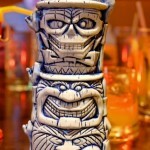 Enter to Win a Haunted Mansion Hitchhiking Ghost Tiki Mug! Does hashtag mean you have to be on twitter? Thanks. I stumbled upon your blog ages ago and my family frequent Disney World FL at least 1-2 times annually. I love to keep the magic alive for my family when we are home and your blog provides a great way to do it. Essie — No. You can hashtag on Facebook and Instagram as well. just as easy as typing the words you have posted on the blog. Time will tell. See you all on Sunday. It is always nice to Win something PLUS the fact it is something Disney is a real treat….a Mickey Treat. I’m not very good at this, but it’s hard to get a pic that shows me and the screen in a position that looks like I’m actually able to read it. I tried, but it looks silly. Peggy and Julia — Ha ha! Just post a picture of the screen then 😀 I’ll know you’re taking the pic.